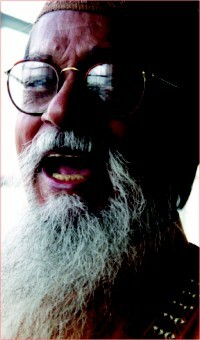 He has been affiliated with the Bengali films since 1956. He is Soovas Dutt, an actor, a film director. He was born at his maternal uncle's place on the 9th February 1930. That was first day for him to behold the earth. He used to paint from his very childhood and nobody could beat him at it. He used to be a drama-artist as well. He directed a drama named “Porajoy” for his uncle when he was in class five. In 1951, after completing his intermediate, he stunned everyone as they thought he would pursue the medical studies. But he said: “No, I won't be a doctor. I will be an artist. He wanted to be admitted in the Art College of Calcutta. But his family couldn't afford it. But that wouldn't enervate the bold Soovas Dutt. He headed for Bombay with the little amount of money in hand, spent some days in a local hotel out there. Within a few days, he ran out of cash and didn't even get a job. Then one day as he was preparing to start for Calcutta, suddenly he ran into his class-mate Bishyanath Chakrabarty on the street. Bishyanath was a student of Art College. Soovas Dutt apprised his friend about his intention to come to Bombay, his desire to draw show-card and cinema posters. In fact, His life turned around as he met his friend on that day. He never had to turn back on his dreams. Bishyanath took him to a mess. A commercial artist named Sunil Sen was there, who was the head of a film publicity firm. He commended the art-works of Soovas. He wanted him to stay at his mess under one condition, Soovas was to cook for all the dwellers staying there. Soovas agreed. Since then, he was in charge of cooking and collecting ration. One day, Mr. Sunil took him to the publicity firm. The firm's name was PAMART. Soovas got a job in there with a salary of 30 rupees. He had to arrive early in the morning, open up the office, sweep the floors, and serve tea. His jobs were of a peon only. Still he waited to learn the art work. But that seemed to took ages to start. All the art-works were executed by the Marathi people in there. Soovas tried to learn every bit of that, as much as possible. He switched to a firm of a Bengali artist after three months. Things were going as smoothly in there before the announcement came in as to- whoever, no matter where he stays, whether India or Pakistan, will be treated as a citizen of that country. Following that, Soovas Dutt returned to the then East-Pakistan back in 1952 and couldn't go to Bombay for various familial reasons. He started a job at Lilli Talkies in Dinajpur. He had to prepare the film banners and decorate houses. His little experience of Bombay came in handy in here. In 1953, Soovas Dutt came to Dhaka, got a job at “Evergreen publicity”. The distributors in Dhaka were extremely pleased to see his house decorations and banners. Then he himself established a publicity firm named- KAMART in 1955. He was involved with the publicity work of the film “Mukh O Mukhosh” in 1956. The poster and show-card were designed by him. He even designed the logo of this very film. 1956 was the year when another significant incident came about in his life. He saw “Pother Pachali” of Sattyajit Roy in that year. The story, acting and location of this movie thrilled him. He attained a new-found meaning for cinema. That made him eager to know more about Sattyajit Roy. He developed zeal to produce films from that time. As he claimed later: “without having the permission of Sattyajit Roy, I wouldn't have been in the line of films at all. It's because of his permission I am in this profession today”. In reality, Pother Pachali was a radiant way for him to step ahead. He acted in many films till 1962. E Desh Tomar Amar of Ehtesham, Rajdhanir Buke, Chanda, Mustafizer Talash were some of the movies he played some pretty comic roles in. People used to burst out into laughter by his acting performance. If he was seen in public, they would say:“there goes the Chali, get him”. Then towards the end of 1962, he decided to start producing films as he just couldn't get Pother Pachali out of his headh. By this time, a story was in his hand as well and he produced a film-“Shutorang” on 1964, being inspired by “Pother Pachali”. The name, story and every other aspects of that movie was a new dimensional presentation to the audience. It was in fact the pioneer film in this country with a wide vision. “Shutorang” was awarded the second prize in Frankfurt Asia Film Festival. Sattyajit Roy sent him his photograph as a token to congratulate him for this massive attainment. Soovas Dutt regarded this appreciation as the greatest achievement in his life. After making films like “Shutorang”, “Abirbhab”, “Dumurer ful” or “Arunodoyer Agnishakhkhi”, he still suffered the agony for not being able to make a film on Begum Rokeya. An audition for this film was held in the then Osmani Milonayton as well. It also got publicity in Radio, TV and Newspaper. He paid visits to Calcutta, Ghatshila and Payraband to collect information for this film. He went to Payraband twice or thrice. New screenplay was developed again. His motto was- whatever he does, it has to be done with absolute sincerity. The movie on Begum Rokeya was of utmost importance to him since he almost decided not to make any films after that. However, the film was not made later on due to various complications. Many were not interested later as well. Soovas Dutt said- “if I could make the film, it would have been a remarkable one, I would have a satisfaction for that”. Nevertheless, if anyone ever desires to produce the film, Soovas Dutt will help him as much as possible.